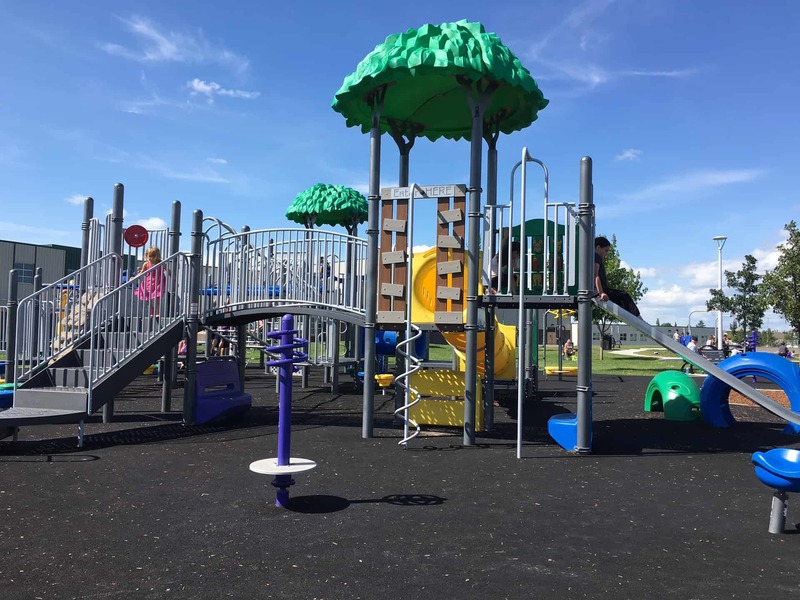 While I browsed through Instagram on Monday morning in bed, I happened upon this instagram photo that highlighted Florence Hallock Playground, opened last month, in North Edmonton. 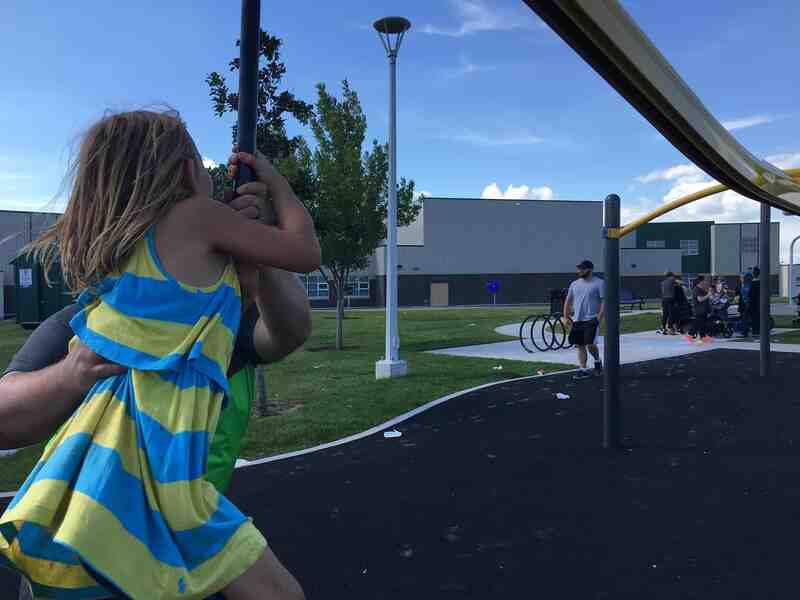 With a fun new Zipline feature swing, I knew the kids would love hanging out at the playground during a warm afternoon, so off we went to explore. It didn’t take too long to arrive, and I was able to easily find the playground in a residential area using GPS – taking us right in front of the playground, where easy parking was found on the street. Since we’re always on the lookout for new parks to try, we decided to head into the area and give it a try. The playground at Florence Hallock School, in Edmonton, didn’t disappoint. Not only was there a huge climbing structure for the kids to play on, but there were benches, a picnic table and a shaded area – and the best part, a cool zipline. The park was busy, and rightfully so, there were Green Shack staff leading games and activities for the children, and let’s face it – the cool new zipline was a major draw. Tip: go early in the morning, or outside of hours when the greenshack is being held, to get on the Zipline without having to wait in line. There’s bathroom on site for little kids who just can’t wait. You can bet we’ll be making the trip back to the playground, at least a couple times this summer. We’ve heard there is a spray park planned for the future, increasing the chances we’re going to be hanging out at the park even more. You can find Florence Hallock school at 16437 87 St NW. Can you play here during school hours?